I have been wearing Icebreaker garments for just over seven years now and if I had to pick a favourite brand this would be it (if you don’t believe me look through the website and almost without fail I’m wearing an Icebreaker top in all the photos). 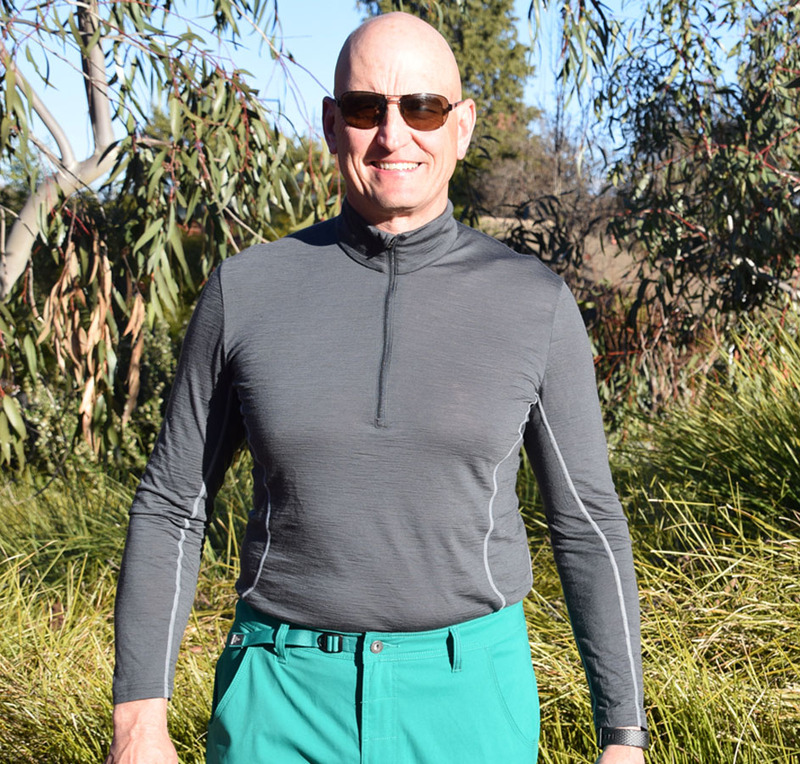 I have only just recently changed over to the Icebreaker Aero Long Sleeve Half Zip Top from the Aero long Sleeve Crewe which is an almost identical top. The difference between these two garments is that the Half Zip Top has a short neck as well as the short zip. This provides more versatility from a ventilation perspective as well as more protection for the neck when the weather is a bit cooler or when sun protection is needed during hot conditions. Then there’s the advantages. While this is only a relatively new top for me I would expect it to have the same durability all Icebreaker products have. I find a seven year lifespan is not unrealistic so when you talk value for money as opposed to just price these garments stack up very well. The use of wool (90%) means they don’t stink like other types of clothing after heavy wear. Icebreaker class this top as featherweight and as such it is ideal for use even in temperatures approaching 40° Celsius. I don’t wear short sleeves while hiking anymore to minimise fluid loss and sunburn. I find that in hot conditions the only sweating that occurs is where the pack comes into contact with my body and that’s going to occur with any brand of clothing when it is hot. 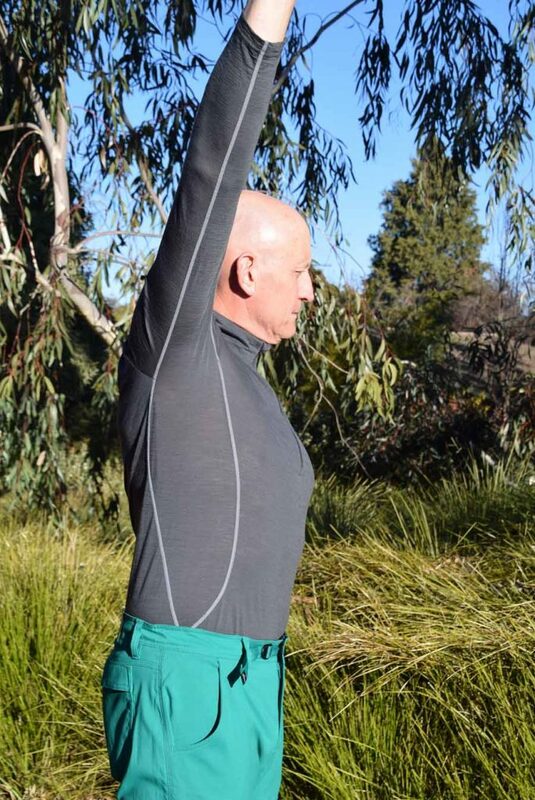 This top works equally well as a base layer and having worked outside for most of my life, in some extreme conditions, this top is all I will wear down to temperatures as low as 4° Celsius so long as its not windy and I am moving. Once temperatures drop below this I start adding layers. 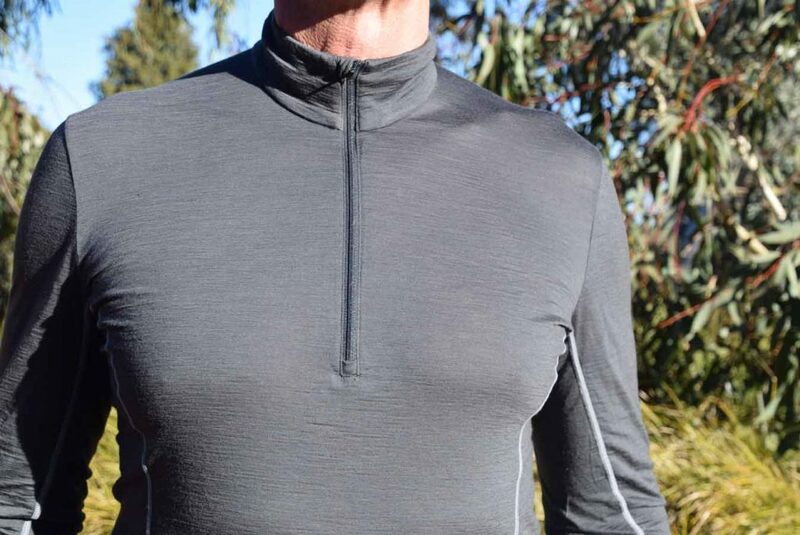 You may need to assess your own temperature threshold to determine your minimum temperature for this Aero top. The quality of this garment is excellent. From the material used, to the flat lock stitching which minimises chaffing, to the length which I often find a drawback in some brands. One way that some brands make their garments cheaper is to reduce the number of panels and this is something Icebreaker doesn’t skimp on meaning whichever garment you pick, they feel very comfortable on. This is a great top and well worth looking at although the Icebreaker website is only showing very limited size range which means this model may be on the way out.